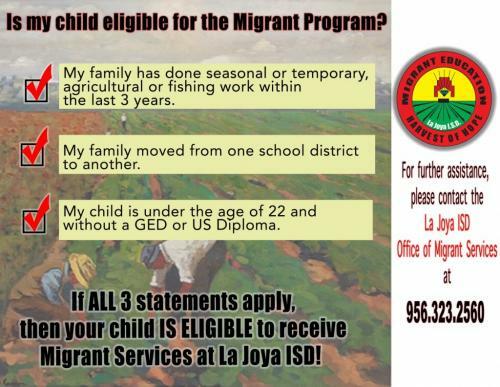 The goal of the La Joya Independent School District is to improve the educational opportunities, academic success and equity of all migrant students through programs and services. 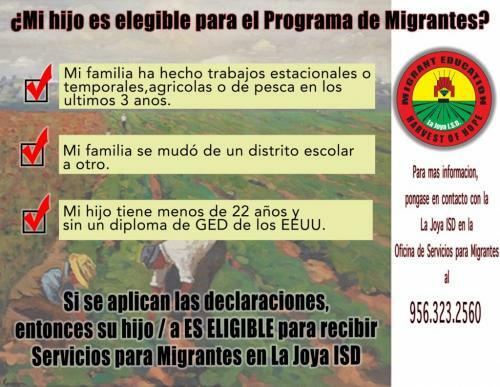 An eligible migrant student is one who has crossed school district lines during the past three years so that the student, a parent or other member of the immediate family may seek employment in agricultural or fishing related activities. Students are eligible to participate in the district Migrant Education Program if they have moved within 36 months with their parents, a guardian, a spouse or on their own across school boundaries. The staff actively seeks to identify and recruit all eligible migratory students residing within the school district. NGS is a web-based interstate information network system that communicates demographic, educational, and health data of an identified migrant students to educators throughout the nation. 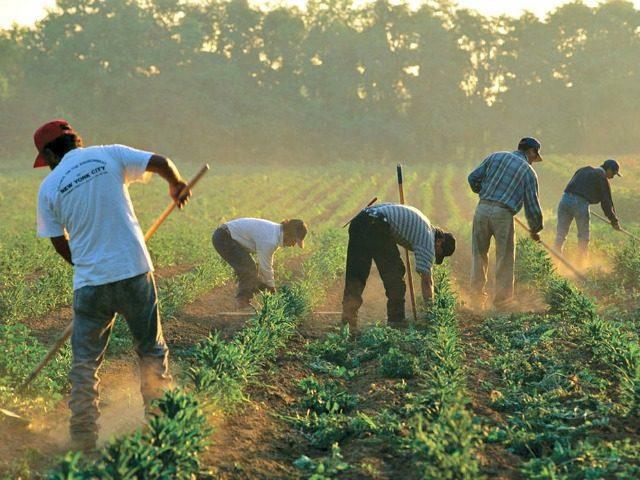 This system facilitates students registering in schools in other parts of Texas and the nation as the families search for work in the agriculture and fishing activities. This area of focus is required at all grade levels and seeks to ensure that migrant students and their families have their needs for educational and support services met, and are able to access all services for which they are eligible from entry in the Migrant Education Program’s early childhood program for three-year-olds through transition into postsecondary education or employment. Extensive student research indicates that parental involvement leads to improve in student achievement. Parents are encourage to actively participate in their child’s education. Parent Advisory Councils empower parents to be advocates and to take advantage of all available resources of the education of their children. A local advisory committee is established for each regular school year on each campus for planning, implementation and evaluation of the local Migrant Education Program. Completed courses by migrant students in grade 6-12 are regularly submitted to the NGS. Efforts are made to track partial credits earned by students for work completed during the enrollment period in each school.  As students move from school to school, documentation of courses taken and the recommended courses become significant in their educational development. Migrant staff work to identify effective strategies to assist students in meeting high school graduation requirements. Strategies include monitoring students’ academic progress, tutorial services, TAKS performance improvement, correspondence courses through the University of Texas at Austin, credit by exam programs, the development of college entrance exam programs, admissions counseling, referrals to the College Assistance Migrant Programs throughout the nation which ensure that all migrant students are processed for postsecondary opportunities. The Migrant Education Program provides a Home-based Early Childhood program for three- and four-year-olds migrant children who are being served by other community agencies such as Head Start. The program is designed to involve migrant parents in the education process at home to promote positive interactions between parent and child.